You are here: Home / Reading Comprehension / Reading Comprehension a Total Drag? Find a Study Buddy! Reading Comprehension a Total Drag? Find a Study Buddy! The LSAT can be a daunting experience for anyone starting out their preparation. And one particular area that a number of students will struggle with is the Reading Comprehension section. After all, most people taking this test are collegiate-level students who are initially confident in their abilities as readers. As such, they should be regular perusers of periodicals such as The Economist, Scientific American, The New Yorker and National Geographic. During their LSAT preparations, they should continue of course to read for pleasure (with a more critical eye) as we have advised here before. But between pleasure reading and practicing with actual LSAT passages, some students will often stall in their preparation for this section. Alone, they are simply unable to overcome many of the pitfalls that await them in Reading Comprehension because of the attitude that they have developed towards it. Let’s face it and name it for what it is. Reading Comprehension is lonely. You’re stuck behind a desk, struggling through passage after passage with nobody to talk to as you make your way through the catalog of published test sections. Moreover, Reading Comprehension can be alienating. The passages are often so varied that you can feel like you lack the requisite base of knowledge to adeptly move from a hard-science article discussing El Nino to an essay about economics in Great Britain in the 1980s and then to a thought piece on Baroque music. In fact, the solitary nature of RC prep may serve to further your isolation because you’re unable to see all those other students struggling through the exact same thing you are! These challenges can build up into a negative ball which eventually leads student to declare that “Reading Comprehension is so boring.” And that attitude, friends, is just plain toxic. If you are one of those people who has called Reading Comprehension “boring,” it’s critical to recognize that that assessment is both detrimental and entirely avoidable! You are choosing to be bored by it. As such, you also have a choice to not be bored. To understand why it is crucial to stop being bored, go read one of my favorite posts from our Free Help Area about boredom with Reading Comprehension. It stresses the importance of developing an actual interest in the subject matter in order to excel on this exam. And an LSAC study recently confirmed that the more interested you are in a passage, the better you can achieve a thorough understanding of it and its questions. But that brings up its own good question: how do I cultivate a genuine interest in some of these passages which I currently think are endlessly dull? One of the most effective ways to end your boredom is to find a Reading Comprehension study buddy. An LSAT ally. They don’t have to even be studying for the LSAT (although someone who is studying for the LSAT is preferable). Because a study buddy is a comrade-in-arms, he or she can offer emotional support as you make your way through the prep process, sharing in your triumphs and picking you up when you fall down. But the benefits go beyond just emotional companionship. A study buddy may well be your key to getting good at Reading Comprehension, fast. I’ll explain. It is important to realize that any Reading Comprehension passage is an argument containing viewpoints. As such, they invite debate, and with a study buddy you’ll have someone to actually debate against as you explore a given topic. You can challenge one another’s assumptions and analyze passage language together for valid points and flawed ones, and thereby make a “boring” passage into one of interest as you actively take stakes in the viewpoints on offer. At times you may even have different interests from your partner allowing you each to explain the deeper insights in a given passage. A lot of us will instinctively want to find a study buddy that doubles as a tutor of sorts: someone who is scoring well on the exam already and who can take us through a reading passage and offer a level of analysis that may not occur to us as often. In short, it’s tempting to limit your partner search to those who have greater experience than you do on this test and are thus liable to teach you where you’re going wrong in the process. And while those types of friends are undeniably terrific to have, they’re both vanishingly rare, as well as unnecessary: often it pays to be the tutor in the relationship, rather than the tutee. To quote Jon Denning (PowerScore’s Vice President): “Try to understand this test not just well enough to take it successfully, but so thoroughly you could create one yourself. The very best test takers see the LSAT through the eyes of the folks who write it.” There’s a lot of wisdom in those words. When you have to explain a Reading Comprehension passage or concept to another person, you’re forced to consider the test from a new perspective: that of someone else. So instead of relying on your own interpretations and trusting your own instincts, you must see the test with fresh eyes and deconstruct it in a way that makes it clear to someone who doesn’t share your background or skill set. You transition from prioritizing finding the right answer as the sole objective to understanding what makes answers right and wrong! Further, when articulating ideas in your own words, you may find yourself at something of a loss to explain things clearly. Again, this is a tremendous opportunity for growth! In struggling to elucidate a concept you inadvertently identify moments where your own comprehension can likely be improved, and with a study partner on hand you’ll have instant feedback as you seek greater clarity. 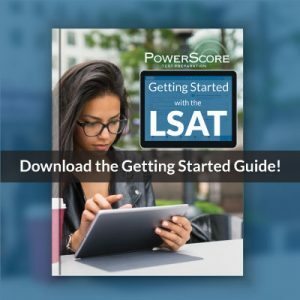 The end result will be a deeper understanding of the exam and a new appreciation for its construction, which are key steps towards crushing the LSAT. One of the most important aspects of successful prep is making a detailed study schedule and keeping to it, and few things enforce accountability better than a teammate. Not only will a study buddy encourage you to be diligent in adhering to your plans, but they will also keep you motivated in moments of difficulty or distress! And that proves particularly valuable with Reading Comprehension, where boredom and passage fatigue are legitimate, high-risk concerns. 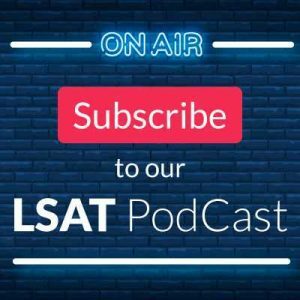 Whether you have Dave Killoran as your study pal or a true LSAT novice, take the opportunity to be an objective voice of guidance for your partner. For example, if you notice that he or she tends to conflate the author’s opinion with other viewpoints, constructively point it out and take time on the next passage to clearly identify viewpoints and resolve the issue. In spending some time correcting your partner’s mistakes you’ll likely find that you remedy many of your own, as well. And request the same, whether in the form of suggested improvements from your study buddy, or simply questions requiring you to elaborate on your process. Again, the more you’re able to formalize your approach in a way that someone else can understand and duplicate, the better test taker you’ll become as a result. Hopefully, I have sold you on the ways in which a study partner can help push you through your boredom and start generating some interest and improvement in Reading Comprehension. And remember, it’s not just you and your partner against the world. If you both get stuck, come visit us at PowerScore’s LSAT Forum for some additional camaraderie and conversation. And if you’re struggling to find a study buddy? 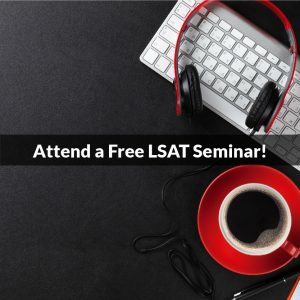 Consider an in-person or live online class where you’ll find a whole room full of like-minded, fully-engaged students, all of whom will be on a similar schedule, working from the same resources, and deeply committed to reaching their full LSAT potential, just like you.